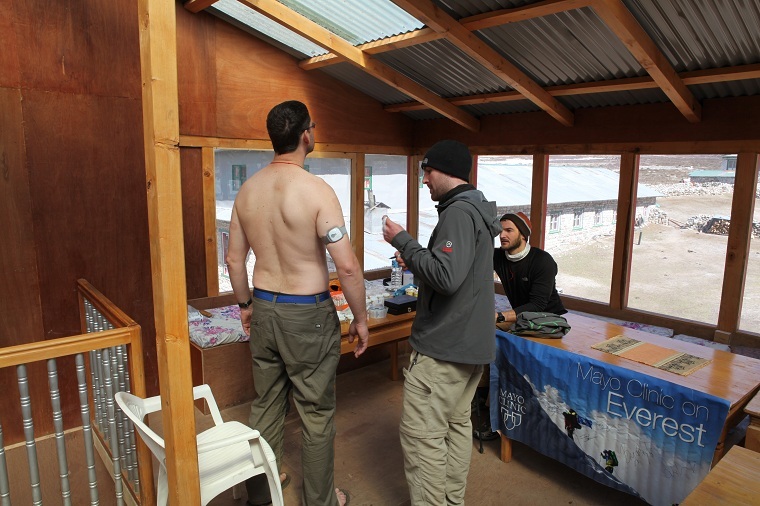 Today was the last opportunity for extensive testing of the Mayo Clinic, The North Face and National Geographic team members before heading to basecamp. Everyone rotated through skin fold, autonomic, cognitive and ultrasound testing during the morning hours. This afternoon, we'll be taking a short hike to help acclimate to a higher altitude.